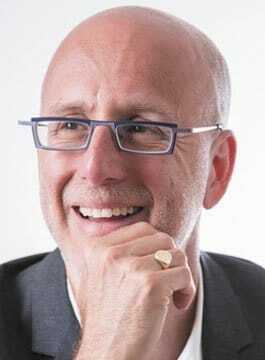 Rafe Offer is a Marketing, Innovation and Branding Expert. He has also consulted for companies such Microsoft, Aviva, The Daily Mail Group and Amazon and is the Co-Founder of global music start-up Sofar Sounds. Described by the Guardian as “a quiet revolution” and New York Magazine as “one of the top new brands in America”, Sofar Sounds promotes music gigs in intimate spaces around the world. Hosted in over 300 cities, Sofar is a global movement which aims to bring the magic back to live music. The brand has recently seen investment from Sir Richard Branson and announced major partnerships with the likes of Airbnb and Uber. Previously, Rafe worked at The Walt Disney Company as a Brand Manager in the USA licensing division. He developed the “having fun never goes out of style” marketing campaign for new ‘Mickey Unlimited’ adult products and within just three years, Disney saw sales grow from $50m to $800m. Rafe was subsequently appointed Director of Global Marketing for Disney Consumer Products and he led the world-wide marketing of Disney’s $12 billion Consumer Products licensing business. In 1997, Rafe moved to The Coca-Cola Company as a Group Brand Manager. He chaired an eleven-person Strategic Innovation Management committee – a team of executives from engineering, product, procurement, research and marketing that developed innovative packaging and sales equipment. Their innovations created $55m additional profit for Coca-Cola. Moving to Global Marketing Director in 1999, Rafe led marketing and product development for Coca-Cola stores, attractions, event and licensed merchandise, which had collective global sales of $1.2 billion. Moving to London Rafe became a Director for Diageo plc, creating Diageo’s new entrepreneurial business unit responsible for finding new revenue sources while strengthening the core drinks business and brands. With his passionate yet down-to-earth and interactive approach, Rafe Offer covers a wide range of topics, from the fundamentals of marketing to how to create a company culture that enables breakthrough innovation. He talks about the importance or customer insight with real world examples including stories and lessons from the major brands and companies he’s worked for as well as his most recent success with Sofar Sounds. "Rafe Offer presented a fantastic seminar during the Outstanding Branding event at the Tower of London in 2015. The audience was captivated by his professional experience, and true passion which shone throughout. Everybody left inspired which was brilliant and exactly what we wanted to achieve. Thank you Rafe!" "Rafe Offer is a dream to work with – his experiences outside our industry are used to inspire and he is easy / inspirational to work with." Philippe Maso, CEO Aviva Insurance Europe. "Rafe Offer is an engaging raconteur and public speaker. His deep subject matter knowledge coupled with his passionate and humble style deliver hugely enjoyable and informative talks."